Yep, that’s me and I bet you’re wondering how I got here. Well you see, in the city of Bowling Green, it started in 1971, when the owner of Finders Records, Greg Halamay wanted a way to offer a better music selection to the city of BG. Since Finders opened its doors, it has seen growth, numerous customers and an enormous amount of demand for vinyl records. Enter Record Store Day (or RSD as I may refer to it throughout the blog); RSD started about 12 years ago, at a gathering of independent record store owners and employees. It was there that they came up with Record Store Day as a way to celebrate and spread the word about the unique culture surrounding 1,400 independently owned record stores. Finders Records has participated in Record Store Day since the celebration’s inception in 2007 and they’ve seen the growth and awareness in the day from not just around the community, but around the country as more labels and artists are also getting involved to celebrate Record Store Day by releasing a limited edition or rereleased album. 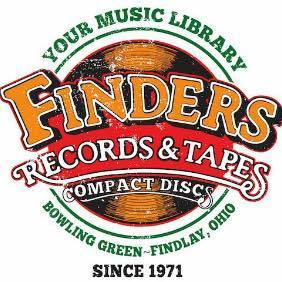 As many patrons of Finders know, if the record is available, the employees will order it in for them and that includes a lot of the special records. For Record Store Day, Greg says it is a similar process, but because artists and labels are only printing a limited amount that are made for Record Store Day specifically, they are only allocated a certain amount to make sure that each record store around the country gets a chance to have the record. This is something special that brings a record collector out to take part in a day that celebrates the independent record store. Greg also notes that “vinyl has become the fastest growing format in the music industry and people are recognizing the beauty of collecting a physical product. When people download an mp3 file, they aren’t getting the full experience of looking at the album artwork or the liner notes that come with the physical product and that’s always been one of cultural beauties of collecting vinyl is not only the sound, but it’s like reading a book. It enhances the overall quality.” As someone that prefers the physical product to an mp3 file myself, that’s the beauty of going to a record store and of RSD. It’s seeing countless titles get rereleased to enhance the sound, add artwork that hasn’t been seen or get previously unreleased material. Record Store Days boasts releases from every decade from the 50s to the present day on numerous vinyl formats, including 45s, 10 inch, 12 EPs and Full Length albums. So what is it that Greg and his employees are looking forward to the most from this coming Record Store Day? As for releases, Finders employees are excited for a number of soundtracks including Woodstock releases, The Crow, Monty Python’s: The Life of Brian, and a 45 called Pizza Power from Teenage Mutant Ninja Turtles. Greg and manager Laura Fredericks are anticipating selling out of some classic titles from Pink Floyd, Billy Joel, Elvis Presley, and Canned Heat. Laura also mentioned that customers have been chomping at the bit for Greta Van Fleet’s debut album, From the Fires, to finally come to vinyl (they’re even more excited for it to be released on black vinyl), Bob Dylan’s Blood on the Tracks, Bone Thugs N Harmony’s E.1999 Eternal’s release on vinyl, and Modest Mouse’s Poison The Well on a 7 in. triangular vinyl. 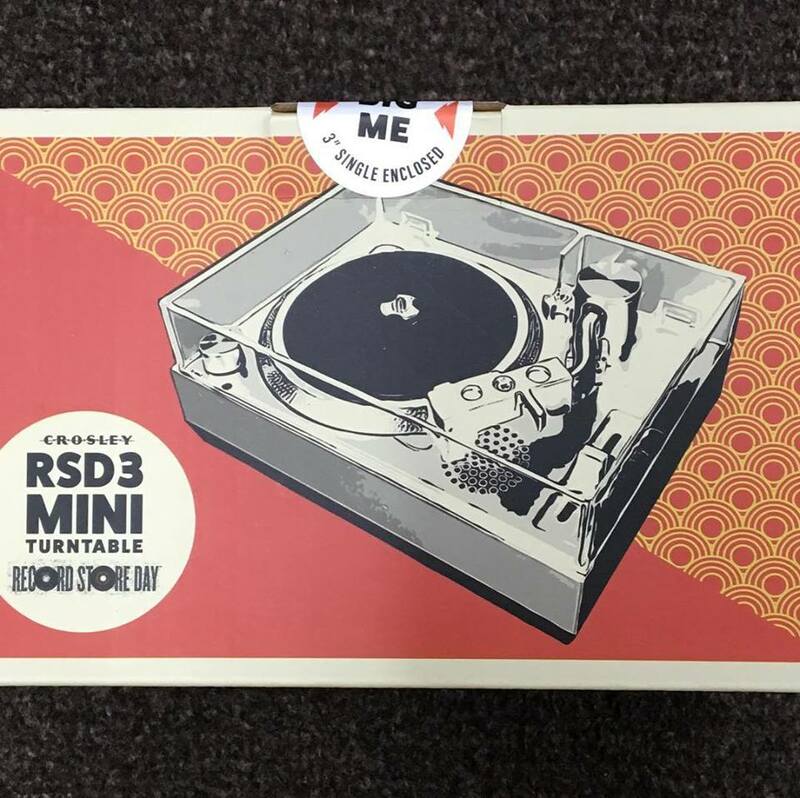 They’re also excited for the debut of a Crosley RSD3 Mini Turntable that will play 3 in. records. This turntable comes with the single Big Me from the Foo Fighters, and Finders will have songs from Third Man Records and Epitaph in the 3 in. format available for purchase. Another thing the crew at Finders is most excited for? The return of past staff members just for Record Store Day, Greg says they have enjoyed working during Record Store Day’s in the past so they’re thrilled to come back and be apart of Record Store Day again. The staff of Finders always has a lot of fun during Record Store Day, so come out to Finders on April 13, 2019 to join in! The celebration starts at 10a, but make sure you get there early if you’re looking for something special! To see the releases of this year’s Record Store Day go to www.recordstoreday.com, to get sneak peeks of what Finders has this year make sure you check out their Facebook page: www.facebook.com/findersrecords.